Pulp tissue is necessary for tooth nutrition, innervation and immunocompetency.1 Maintaining the vitality of dental pulp increases a tooth’s mechanical resistance and long-term survival.2 Vital pulp therapy is performed to preserve and maintain the health of the pulpal tissue in cases of exposure due to trauma, caries and/or restorative procedures.3 Vital pulp therapy encompasses apexogenesis, pulpotomy, pulpal debridement, and direct and indirect pulp capping.4 With advances in science and technology, vital pulp treatment has evolved over the last five years in regard to the procedures and materials used. This article will provide an overview of clinical vital pulp therapy changes pertaining to pulpotomies and pulp capping. Prior to performing vital pulp therapy, it is paramount to obtain a pretreatment pulpal and periradicular diagnosis. The value of a pretreatment pulpal and periradicular diagnosis prior to performing restorative treatment on a carious vital tooth is that it will allow the clinician to better understand how to treat the dental pulp, especially if direct or indirect pulpal exposure occurs during caries excavation (Figure 1). FIGURE 1. Obtaining a pretreatment pulpal and periradicular diagnosis on tooth #4 prior to caries removal and restorative treatment will allow the clinician to properly treat the dental pulp if exposed during caries excavation. A normal pulp diagnosis tests within normal limits to cold. Clinically, a patient will respond to cold stimulus and, after the stimulus is removed, the cold sensation will dissipate immediately. It is important to realize the time it takes for a patient to respond to cold has no correlation to the diagnosis, and therefore time does not need to be recorded. A reversible pulpitis diagnosis is pain from an inflamed pulp that can be treated without removal of the pulpal tissue. This is not a disease, but a symptom. The classic clinical symptoms are sharp, quick pain that subsides as soon as stimulus is removed. Physiologically, it is the A-Delta fibers that are firing, not the C-fibers of the pulp.5 A-Delta fibers are the myelinated, low threshold, sharp/pricking pain nerve fibers that reside principally in the pulp-dentin junction. They are stimulated by cold and electric pulp testing, and cannot survive in a hypoxic (low oxygen) environment. Reversible pulpitis also does not involve an unprovoked (spontaneous) response. A study by Ricucci et al6 found that a clinical pulpal diagnosis of a normal pulp or reversible pulpitis had a 96.6% histological match to the actual pulp tissue in a tooth. They noted bacterial invasion of the pulp tissue was common in teeth diagnosed with irreversible pulpitis, but absent in teeth diagnosed with normal pulps or reversible pulpitis. This study also demonstrated that when a caries lesion encroaches pulp that is diagnosed as normal or with reversible pulpitis, only the coronal portion of the pulpal tissue (immediately adjacent to the caries) showed signs of inflammation, and not the entire pulp tissue, as previously thought. 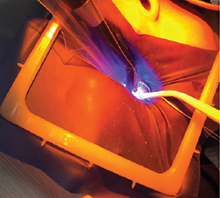 Therefore, the clinician can treat the carious exposed or indirect exposed pulp tissue with a pulp cap or pulpotomy — without the need for a pulpectomy. In regard to the pretreatment periradicular diagnosis, a normal periradicular diagnosis — no sensitivity to percussion and/or palpation, no excessive periodontal probing depths, no mobility, and no evidence of radiographic periapical radiolucencies — is viable for vital pulp therapy. Although calcium hydroxide has been the material of choice for vital pulp therapy for years, it is now contraindicated. Calcium hydroxide can cause inflammation and necrosis of the pulp surface after pulp capping. It also has high solubility in oral fluids, will degrade over time, and has a low mechanical resistance.13 Calcium hydroxide should be replaced with a bioceramic material for coverage of exposed or indirectly exposed pulpal tissue. In a randomized clinical trial by Hilton et al,14 the authors report that mineral trioxide aggregate, a bioceramic material, performed significantly better than calcium hydroxide as a direct pulp-capping agent. Bioceramics or calcium silicate-based materials are biocompatible, nontoxic, nonshrinking, and are usually stable within a biological environment. An additional advantage of these bioceramic materials is their ability to form calcium hydroxide and hydroxyapatite.9 There are many commercially available bioceramics suited for vital pulp therapy. After performing a bioceramic pulp cap or pulpotomy (Figures 2A and 2B), clinicians should place a light-cured glass ionomer material over the bioceramic pulp cap (Figure 3).15 Next, a permanent restoration (such as a composite or amalgam) should be placed, and periapical and bitewing radiographs taken after the rubber dam is removed (Figure 4). Restoring the tooth posttreatment with a fabricated crown or temporary filling and placing a permanent filling at a subsequent appointment is contraindicated. The reason a permanent restoration (composite or amalgam) is placed is twofold. First, it is important to maintain a proper seal to prevent leakage from causing reoccurrence of pulpal inflammation. 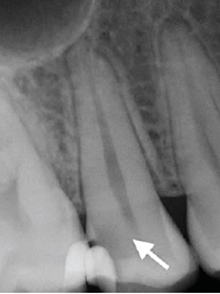 Second, if the tooth remains asymptomatic posttreatment, operators do not risk the chance of causing further inflammation of the pulpal and periradicular tissue by performing a crown preparation or replacing the temporary filling with a permanent filling at a subsequent appointment.11 In addition, there is always the chance of a patient developing a symptomatic irreversible pulpitis after the vital pulp therapy procedure and, hence, requiring a full pulpectomy. If this occurs, having a permanent restoration (composite or amalgam) in place will allow for a better conventional endodontic treatment access seal, as compared to a temporary filling or crown restoration. FIGURE 3. Placement of a light-cured glass ionomer material over a bioceramic pulp cap on tooth #19. FIGURE 4. Postoperative periapical radiograph of a vital pulp therapy procedure on tooth #30. 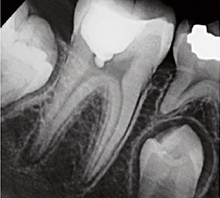 Obtaining a pretreatment pulpal and periradicular diagnosis prior to performing restorative treatment, especially when removing caries, will allow clinicians to formulate the correct restorative treatment plan in regard to the dental pulp. If the pretreatment pulpal diagnosis is either normal pulp or reversible pulpitis, and the pretreatment periradicular diagnosis is normal, vital pulp therapy by pulp capping or pulpotomy should be performed if the pulp is exposed or indirectly exposed during treatment. This vital pulp therapy should include EDTA irrigation and placing a bioceramic material on the direct or indirect pulp exposure, followed by placing a light-cured glass ionomer over the bioceramic material. Lastly, a permanent restoration (composite or amalgam) should be placed (rather than a temporary restoration) after completion of the vital pulp therapy procedure. Due to advances in science and technology, vital pulp treatment has changed over the last five years in regard to the procedures and materials used. Prior to performing vital pulp therapy, it is paramount to obtain a pretreatment pulpal and periradicular diagnosis. Sodium hypochlorite should not be applied to a direct or indirect pulp exposure when performing a vital pulp cryotherapy procedure because it can kill pulpal stem cells. Instead, ethylenediaminetetraacetic acid solution should be used because it has been shown to release bioactive growth factors from the dentin, thus stimulating matrix secretion, odontoblast differentiation and tertiary dentin formation. Although calcium hydroxide was previously the material of choice for vital pulp therapy, it is now contraindicated because it can cause inflammation and necrosis of the pulp surface after pulp capping. Calcium hydroxide should be replaced with a bioceramic material for coverage of exposed or indirectly exposed pulpal tissue. After performing a bioceramic pulp cap or pulpotomy, place a light-cured glass ionomer over the bioceramic pulp cap.15 Next, a permanent restoration (such as a composite or amalgam) should be placed, and periapical and bitewing radiographs taken. The authors would like to thank Doris Basali, DDS, a second year endodontic resident at the University of Illinois-Chicago College of Dentistry, for the clinical treatment and documentation of the vital pulp therapy procedure on tooth #3 (Figures 2A and 2B). Zanini M, Meyer E, Simon S. Pulp inflammatory diagnosis from clinical to inflammatory mediators: a systematic review. J Endod. 2017;43:1033–1051. Reeh ES, Messer HH, Douglas WH. Reduction in tooth stiffness as a result of endodontic and restorative procedures. J Endod. 1989;15:512–516. Hilton TJ. Keys to clinical success with pulp capping: a review of the literature. Oper Dent. 2009; 34:615–625. American Association of Endodontists. Guide to Clinical Endodontics, 6th ed. Available at: http://www.nxtbook.com/nxtbooks/aae/guidetoclinical endodontics6/index.php. Accessed September 17, 2018. Kim S. Neurovascular interaction in the dental pulp in health and inflammation. J Endod. 1990;16:48–55. Ricucci D, Loghin S, Siqueira J. Correlation between clinical and histological diagnosis. J Endod. 2014;40:1932–1939. Casagrande L, Demarco FF, Zhang Z, Araujo FB, Shi S, Nör JE. Dentin-derived BMP-2 and odontoblast differentiation. J Dent Res. 2010;89:603–608. Gallar KM, Buchalla W, Hiller KA, et al. Influence of root canal disinfectants on growth factor release from dentin. J Endod. 2015;41:363–368. Witherspoon DE. Vital pulp therapy with new materials: new directions and treatment perspectives — permanent teeth. J Endod. 2008;34(Suppl 7):S25–S28. Cao Y, Song M, Kim E, et al. Pulp-dentin regeneration: current state and future prospects. J Dent Res. 2015;94:1544–1551. Finnegan S, Percival S. EDTA: an antimicrobial and antibiofilm agent for use in wound care. Adv Wound Care (New Rockelle). 2015;4:415–421. González-Cuevas J, Navarro-Partida J, Marquez-Aguirre AL, Bueno-Topete MR, Beas-Zarate C, Armendáriz-Borunda J. Ethylenediaminetetraacetic acid induces antioxidant and anti-inflammatory activities in experimental liver fibrosis. Redox Rep. 2011;16:62–70. Brizuela C, Ormeño A, Cabrera C, et al. Direct pulp capping with calcium hydroxide, mineral trioxide aggregate, and Biodentine in permanent young teeth with caries: a randomized clinical trial. J Endod. 2017;43:1776–1780. Hilton TJ, Ferracane JL, Manci L, Northwest Practice-based Research Collaborative in Evidence-based Dentistry. Comparison of CaOH with MTA for direct pulp capping: a PBRN randomized clinical trial. J Dent Res. 2013;92(Suppl 7):16S–22S. Wang Z. Bioceramic materials in endodontics. Endod Topics. 2015;32:3–30. Linu S, Lekshmi MS, Varunkumar VS, Sam Joseph VG. Treatment outcome following direct pulp capping using bioceramic materials in mature permanent teeth with carious exposure: a pilot retrospective study. J Endod. 2017;43:1635–1639. From Decisions in Dentistry. October 2018;4(10):10,12–14. James Bahcall, DMD, MS, FICD, FACD, is a clinical associate professor of endodontics at the University of Illinois-Chicago College of Dentistry. He can be reached at jbahcall@uic.edu. Mark C. Baker, DDS, is a clinical associate professor of endodontics at the University of Illinois-Chicago College of Dentistry.